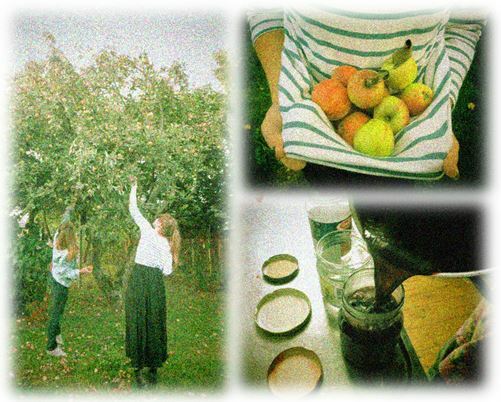 Walk with us around Lund to find the best harvest spots, pick fruits and make jam together! PICK – Thursday, 12 Sep, 17.30 in front of Smålands Nation. The walk and the picking is for free. Bring a basket or some bags to carry the fruits. We can store the fruits in Smålands Nation to continue with the jam-session the next day. JAM – Friday, 13 Sep, 17.30 in the Smålands Nation pub/kitchen. Bring well-rinsed jars (your old pasta or honey jars) and any other things you think are useful (e.g. a pit remover, a blender). Gelling sugar, pots, knifes, cooking spoons, etc. are provided. We will take a small fee to cover the sugar costs. Be welcome to the first Fruktsam event in collaboration with Smålands Nation! Check out the event report, the Facebook invitation and the student’s paper Lundagård that followed us.